Chicken salad is a great lunch option year round. This version was inspired by leftover turkey from this past Thanksgiving. It can be made with either chicken or turkey. Adding cranberries and walnuts switches up the flavors for the season. The dressing is all yogurt, no mayo, so a good skinny option as we indulge during the multiple celebrations of the holiday season. Enjoy! Method: Combine all the ingredients for the salad in a bowl. Whisk all the ingredients for the dressing and toss with the salad. Serve with your choice of bread or croissant. 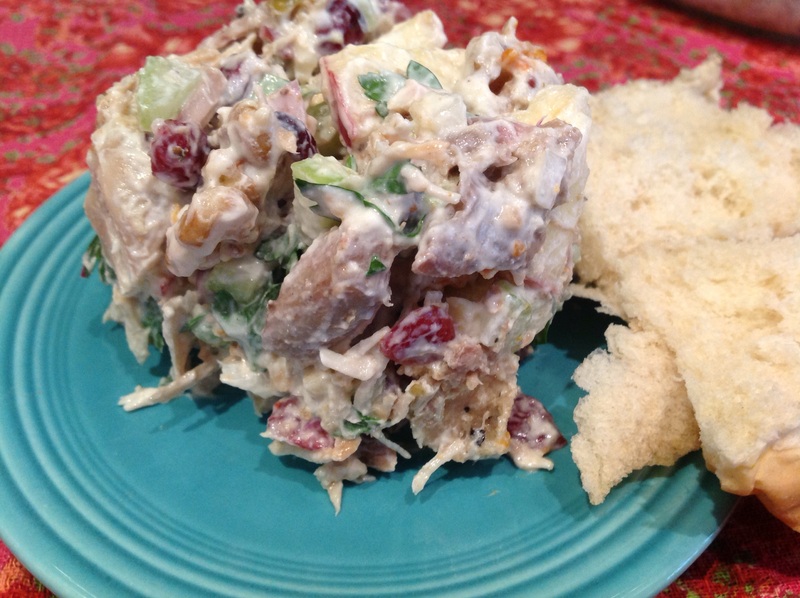 This entry was posted in Recipes and tagged chicken salad with yogurt dressing, leftover thanksgiving turkey cranberry salad, Turkey cranberry salad by Johanne Lamarche. Bookmark the permalink. 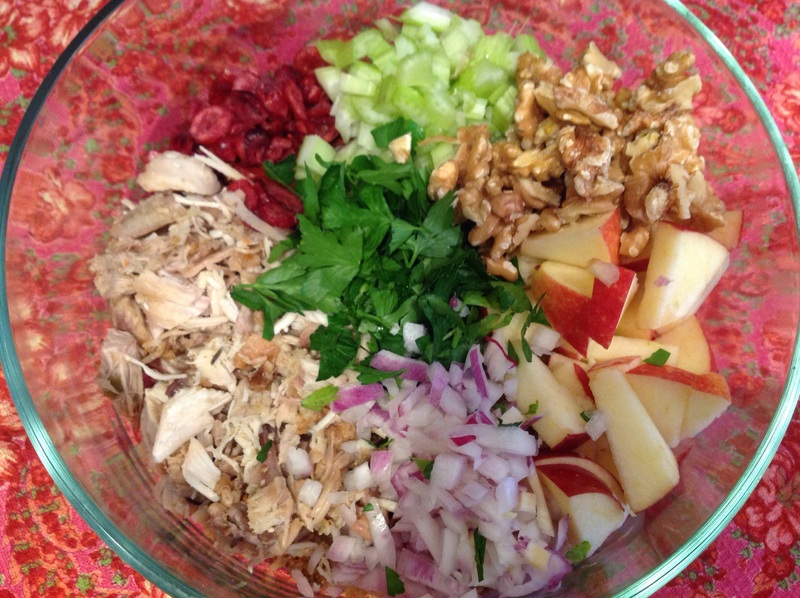 Love the new ideas to tweak my chicken salad for winter! Mmmmmm what a great idea to mix all of those ingredients together. I’ll definitely try this with my left over turkey. Moi aussi je vas définitivement l ‘essayer..yum yum…ça a l’air tellement Bon! And I didn’t even miss the mayo either! If you like sour cream in your chicken salad, you can easily swap it out for yogurt. For those who can’t imagine giving up the mayo, the addition of a little dijon would give the yogurt a bit of a kick don’t you think? Good minds think alike 🙂 i may update my recipe and add the mustard there too as I usually do. I could easily get with this any time of the year! I have come to love dried cranberries, and I can only imagine how they must kick the flavor up a notch in this chicken salad. I’ve never subbed yogurt for mayo, but it couldn’t hurt to give it a try!! !